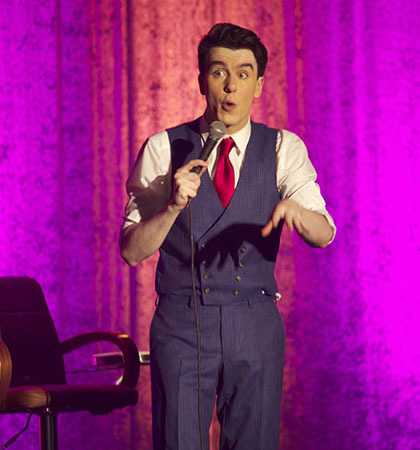 RUMBLINGS have already begun but this month, Ireland’s newest comedic personality comes to us in full force, as Al Porter makes his headline debut at the prestigious Soho Theatre in London. The camp comic from Tallaght in Dublin has been a longtime fixture on the panto scene as the dame, but he’s recently branched out into radio presenting on 2FM, hosting his own TV show, and stand up comedy — not a bad CV for any entertainment pro, let alone a 22-year-old. appear on Live at the Apollo, and sign up with Jonathan Ross’s agent no less, he tells us his big plans for this year — but also why he won’t be moving away from his mam anytime soon. How do you feel about ‘the new Graham Norton’ tag? In terms of style, I love sparkles, big shows and velvet curtains, so it’s mostly seventies comedy, like Larry Grayson, Tommy Cooper, Frankie Howard. I’ve always been a big fan of anyone who speaks with their own voice, and the genre is less important — you can tell that Michael McIntyre is the middle class he presents, and Billy Connolly worked the shipyards. You’re known for being risqué – do you see yourself as edgy? What’s the new London show about? It’s an introduction to me: here I am, warts and all. I thought the first show should be confessional — mostly because everything I do is so self absorbed! But might as well tell people who I am, where I come from. It’s not coming out, I’ve been blatantly gay since age of 10. 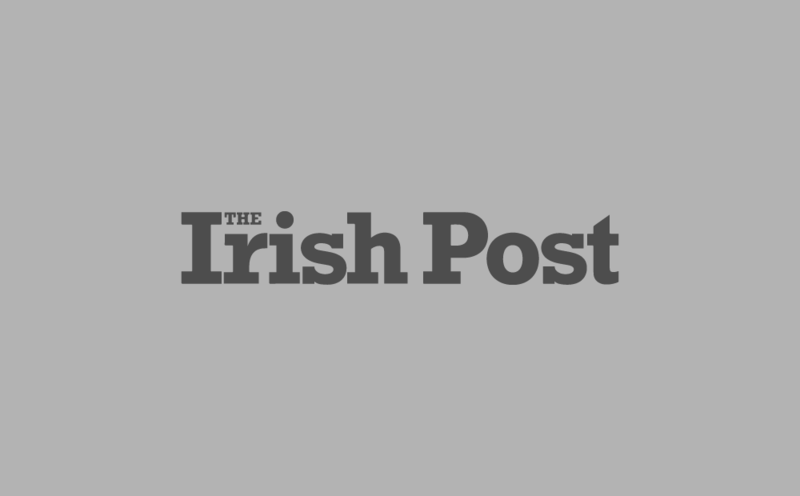 Does your comedy translate to audiences outside of Ireland? forget that it’s quicker for me to get to London than Donegal. Is Soho Theatre an important venue for you? It’s really important. If you’d asked me a year ago what I’d like to do, that would be something to tick off my list. I know a few people who have played it, like Panti Bliss, and they’ve said it’s amazing and loved it. It’s also important for me to do shows outside of Ireland, it makes me think outside the box. Would you move to London? What else does 2016 hold for you? I’ve also got eight shows at Vicar Street in Dublin, but my focus will be to gig more outside of Ireland. I’ve just got a UK agent, Joe Norris, who looks after Michael McIntyre, Alan Carr, Jonathan Ross and Lee Evans before he retired. He signed me around the time I was on Live at the Apollo, and hopefully that means I’ll be coming over more and more. How is it to be on the same roster as the likes of Alan Carr and Jonathan Ross? — when Jonathan Ross followed me on Twitter I had a real fangirl moment. Did playing Edinburgh Fringe Festival help your career? 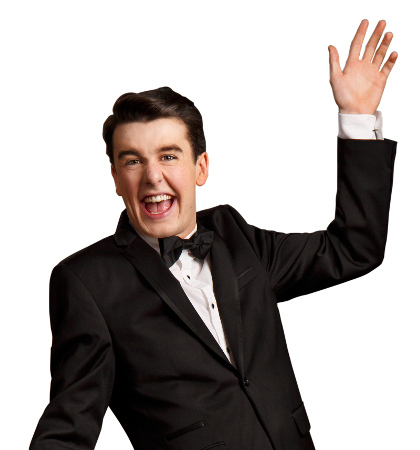 the Christmas variety show, the Al Porter Show, so a lot has gone on between the radio, TV and stage. Do people treat you differently because of your age? stand up comedy for three years, when I dropped out of college. How do you find still living at home? Late Late tomorrow with a comedy song, plus I’m rehearsing for a new show. What’s the comedy scene like in Ireland at the moment? there’s just the Laughter Lounge, City Limits and Róisín Dubh. Most comedy venues are actually pubs where you’re just shoved in a corner with a mic. There’s a strong comedy scene at GAA clubs, which are kind of like working men’s clubs might have been, and it would be nice for that to get stronger. Has Ireland changed since the referendum for marriage equality? can and can’t say about myself. In fact I get away with murder on TV. How would you like your career to develop? I’ve always liked the idea of being an entertainer, but I’d love to do a costume sitcom sketch show similar to Blackadder or Up Pompeii. Who knows what will happen. Maybe it’s part of my youth, but I’ve no five year plan.